Yesterday was a chilly day, with an ice storm forecasted to be on the way. At 10 in the morning I was one of about 18 local citizens who met with three of Rep. Vicky Hartzler’s staff for a “listening post” event. Of course, the Congresswoman herself was not present. Anyway, the best I could do was to engage in conversation with Hartzler’s field representative, Kyler Cliffman, on the way out. Much to my chagrin, even though he’s a young man, seemingly well educated, and someone who should know better, Cliffman responded with that stale excuse for a response, some variant on “It’s cold out there, so anthropogenic climate change is bogus.” Those were not his exact words, but they are close enough and reflect the depth, or lack thereof, of understanding put into responding to this critical issue. I want to start by thanking you for coming to Columbia for today’s listening session on behalf of Rep. Vicky Hartzler. While I agree with several of the other participants who expressed the sense of the group that we are long overdue for a town hall style meeting with Rep. Hartzler in person, I think it was good for you and the other members of the staff to get to hear the thoughts of constituents, which I trust will be passed on to the Congresswoman. It was, however, unfortunate that time ran out before we had the opportunity to address climate change. As I tried to express, this is arguably the defining issue of our time, in that if it is not properly addressed, it can make most, if not all, of the other concerns discussed today moot points. I do have to tell you that your statement during our brief conversation on the way out seemed to me potentially embarrassing, as you would likely appear to anyone listening as devoid of an understanding of what anthropogenic climate change is. In fact, you seemed to be channeling Sen. James Inhofe, who is, to this day, considered by most to have made a fool of himself for having brought a snowball into the Senate chambers during a snowstorm in Washington and presented it as evidence that the climate was not warming. So, assuming you were not being facetious, when you cited the cold weather as a sign that climate change is not a concern, I’d like to share some relevant information on this topic. First, though, let me start by sharing some more general information regarding what climate change is, and what it is not. To begin with, the climate is not the same as weather. Weather varies from day to day. Some days are hot, others cold; some bring rain or snow, while others are dry. Climate on the other hand is the broader pattern of weather events. 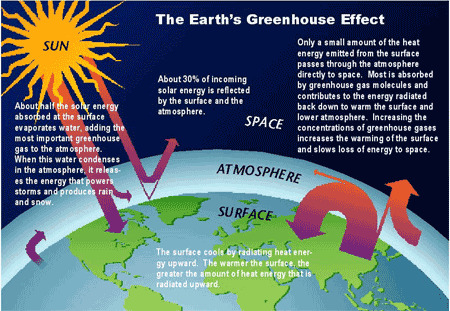 When we talk about the greenhouse effect, we’re talking about the impact of the release of carbon dioxide, primarily from burning fossil fuels, and the release of other greenhouse gases, including methane, chlorofluorocarbons and others. These gases trap heat that would otherwise be more quickly reflected out into space. Over the past 250 years the atmospheric concentration of CO2, the primary greenhouse gas has increased from approximately 280 parts per million to a little more than 400 ppm, an increase of approximately 45 percent. This has contributed to a rise in the average global temperature which, according to scientists at NASA's Goddard Institute for Space Studies, means the average global temperature on Earth has increased by about 0.8° Celsius (1.4° Fahrenheit) since 1880. This might not sound like a lot, but, in fact is unprecedented in terms of the speed at which temperatures are changing. And, as there is a lag between when greenhouse gases are released and the full impact of their release experienced, even if we stopped burning all fossil fuels today, the Earth would continue to heat up for several more decades. Besides the planet simply being warmer, on average, scientists have forecast, and events have borne out, an increase in the frequency of extreme weather events, be these torrential rains, extreme droughts, more intense hurricanes/cyclones, extreme heat waves, and even last week’s winter “bomb cyclone” that clobbered the East Coast. These have led to unprecedented loss of life and property from a variety of causes, including a dramatic uptick in the incidence and size of wildfires, and the increased incidence of super-storms that bring flooding and wind damage. We are also seeing a rapid melting of both land glaciers and sea ice. The former is leading to a rapid rise in sea level that threatens many major cities around the world and other coastal and low-lying areas. All of these changes portend profound dislocation. 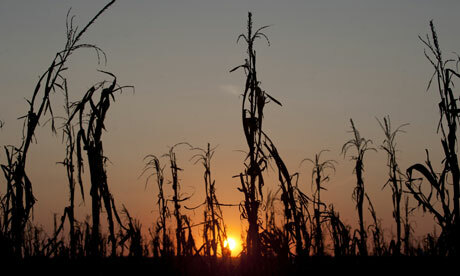 It is forecast that in the coming decades we will see not just millions, but tens or even hundreds of millions of climate refugees as coastal areas flood, crops fail and already hot and parched areas become uninhabitable. And, of course, the changing climate affects not just humans. Scientists are already seeing an increase in the rate of loss of biodiversity as the climate is changing too rapidly for many plants and animals to adapt or move to new habitat. We are also seeing the spread of diseases from tropical or sub-tropical regions to temperate zones. The increase in CO2 has also led to an acidification of the oceans that is profoundly altering ecological systems therein. “New research shows that some northern regions have been getting hit with these extreme cold spells more frequently over the past four decades, even as the planet as a whole has warmed. 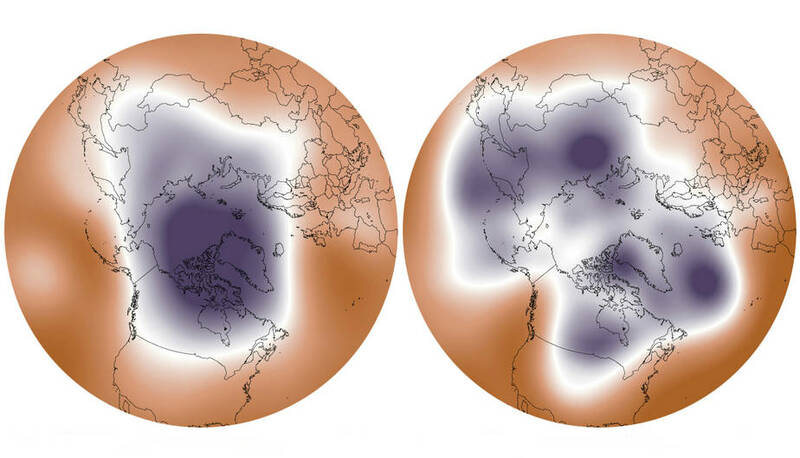 While it may seem counterintuitive, the scientists believe these bitter cold snaps are connected to the warming of the Arctic and the effects that that warming is having on the winds of the stratospheric polar vortex, high above the Earth's surface. The article goes on to explain this in more depth HERE. You might also want to check out this 2016 piece from Scientific American titled “Dreaded Polar Vortex May be Shifting” Click HERE. And, if you’d like to actually go to a prestigious scientific journal, rather than read articles written for a lay audience, here’s a link to a 2016 article published in Nature titled “Persistent shift of the Arctic polar vortex toward the Eurasian continent in recent decades” click HERE. If you have any questions about this, or if you’d like to discuss the policy implications of the necessity of responding to the climate crisis, I would be happy to visit with you. I will say that Rep. Hartzler has the opportunity right now to reevaluate her approach to climate concerns and become an advocate for policies that will not only effectively address the problem, but will also lead to greater energy independence for Missouri and many more decent paying jobs right here in her district. I’d welcome the opportunity to visit with you and/or Representative Hartzler to discuss these matters.